January 1 – Christmas Bird Count: Bird inventory of the refuge starts at 7:30 AM at the Visitor Center. Everyone Welcome. Stay as long as you want. Free soup lunch provided. February 9 – A Celebration of Cranes. Features guided and self-guided tours. Fun activities for the kids. March/April – Indiana Master Naturalist Class: Every Wednesday evening in March with the last class April 6th. All classes from 6 – 9:30 PM. Sessions on birds, plants, geology, wetlands and many other natural history topics. Great learning experience for adults – all for a small fee! March 16 – Wetlands Day: Wetland kids activities and a Wetlands walk. Times to be announced. April 13 – Earth Day Cleanup and Pollinator Festival: Join us for a Volunteer Work Day cleaning up the Refuge! Work starts at 9AM at the Visitor Center with the Pollinator festival in the afternoon. April 20 – Family Fishing Workshop: Bring the family and join us from 9 AM to Noon to learn the fun of fishing, All equipment provided and no fishing license required on this day. 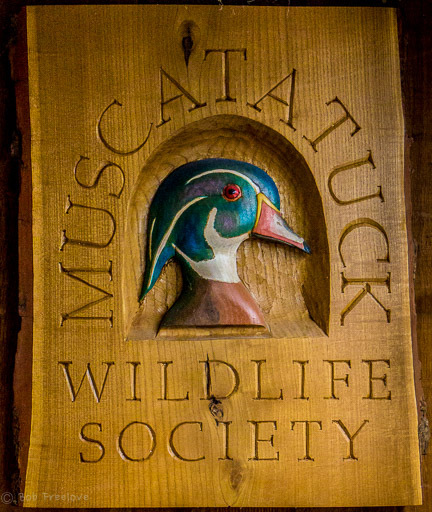 May 10 & 11 – Wings Over Muscatatuck Bird Festival: A few selected events on the 10th with a full day of guided bird tours, bird and nature walks, bird banding, live birds of prey programs, birdhouse building, kids activities, bird calling contest & the Duck Stamp Awards Ceremony on the 11th. September 28 – National Public Lands Day Workday: Workday for volunteers of all ages and abilities to help improve the Refuge. Starts st the Visitor Center at 9 AM. October 13 – Big Sit Bird Count: Join volunteers spotting birds from the Endicott Observation Deck. Goes from dawn to dark. Arrive/leave as desired. October 13-19 – National Wildlife Refuge Week: The normally closed areas of the Refuge are opened for visitation and observation. Nature Time Program for Preschoolers – Second Wednesday of the month from 9:30 to 11AM at the Visitor Center. No registration is required and the programs include games, songs and stories about different nature and natural history subjects each month. Learning and fun for preschoolers. Bird Walk – Come out the third Saturday of the month (weather permitting) starting from the Visitor Center at 8 AM for a short bird walk. Birders of all ages and abilities are welcome.